After a busy day of fundraising for your favorite cause, join your colleagues for a drink. Happy hours will be held at a variety of locations around the metro Denver area. No need to RSVP. Socials are typically held from 5:00 p.m. - 7:00 p.m., but check for info below as well. 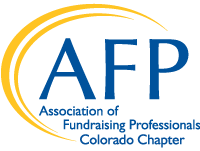 AFP Spring Happy Hour - May 8 at Ace Eat Serve, 501 E 17th Avenue, Denver, 4:30 p.m. - 6:30 p.m.
*Join us for networking drinks, and a little ping pong!